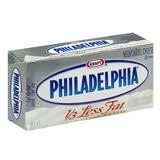 As mentioned last Wednesday, Smiths is having a mega sale and one of the items is Philadelphia Cream Cheese. With the printable coupon of $5/5 printable and printing it twice, you can get 10 for free. Again, that is FREE! I called Audrey after my Smiths trip to let her know--I was elated. Ha! For the next 24 hours, I shared this with all I talked with. Funny, I know. (The sale on cream cheese ends a week from today). I wanted to make a New York Cheesecake for friends which calls for 4 packages of cream cheese. I used a recipe from the JOY OF BAKING. 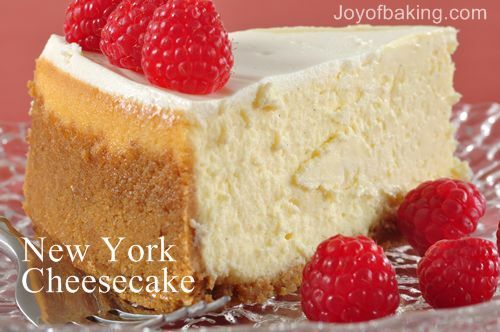 You will need a spring form pan for this type of cheesecake. The only substitution was using cinnamon graham crackers instead of regular graham crackers. The cinnamon flavor was not strong (because it was only in the crust). It was a nice touch, I thought. We served the slices of cheesecake with a homemade plum sauce for some and others chose chocolate syrup. The cheesecake was a hit. Don't be deterred by the 2 hour bake time - it's well worth it. 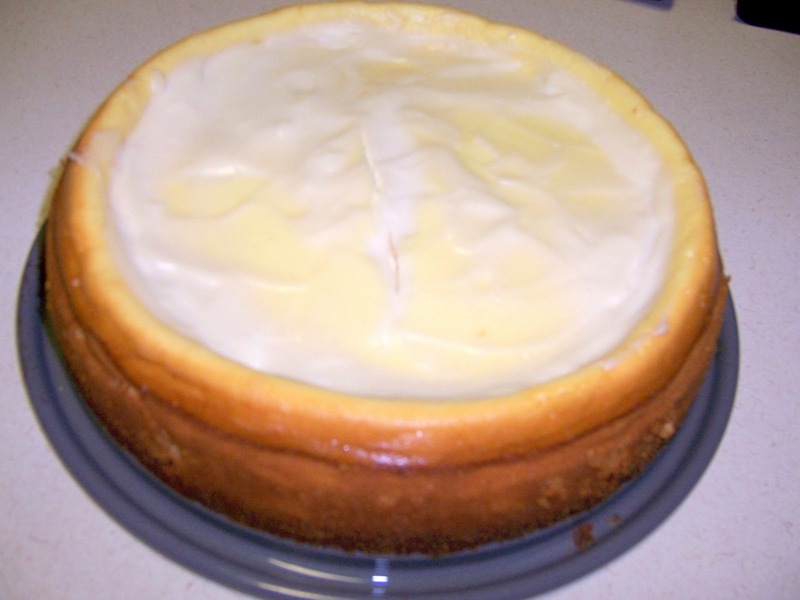 Here is What to do with Cream Cheese Part One.